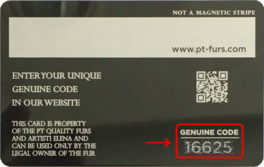 The verification of “PT furs” products is certified by a cohesive security card addressed to every apparel tag. 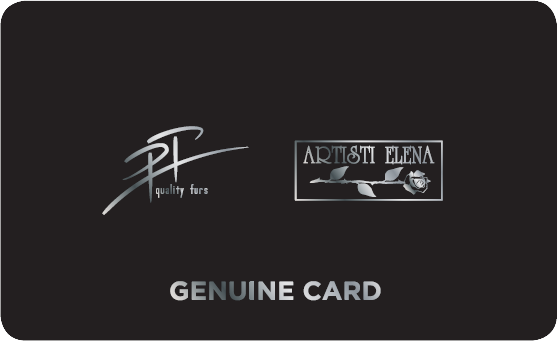 Each genuine card contains a unique 5-digit code referring exclusively to the item at which is attached. The code can be easily identified via the field “Genuine code” provided down below. 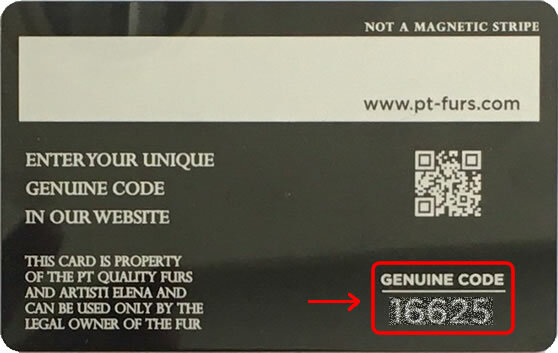 Just by typing your unique 5-digit code along with its model name, you can confirm that you are a proud owner of an authentic “PT furs” creation. 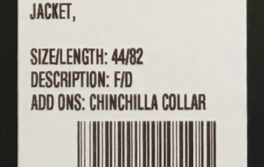 By typing your Genuine code on the left field, you can check the authenticity of your garment. 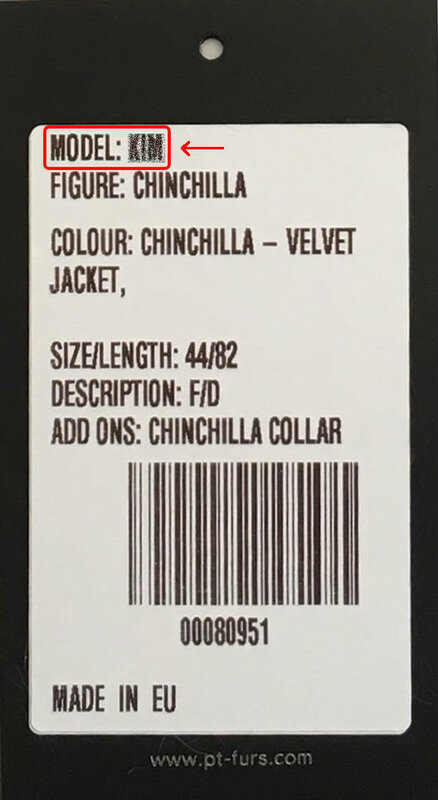 Model can be found on your purchased garment’s unique tag (if you can not locate it, please contact us). See bellow where you can find the Genuine code and Model.